Ten startups presented themselves during the final of the Startups in the Palace. Among the companies performing on the stage in the Presidential Palace was Virtual Power Plant, represented by CEO Grzegorz Nowaczewski. We invite you to watch the relation from the event. Startups in the Palace is a cooperation between the Chancellery of the President of the Republic of Poland and Startup Poland. More about the event in the article VPPlant in the final of the prestigious Startups in the Palace. 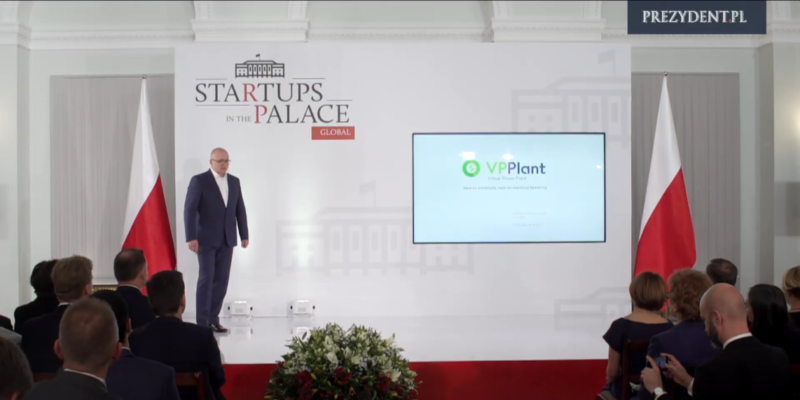 CEO of VPPlant for Biznes Alert: Why did I apply for the Startups in the Palace competition? How to cut energy costs by 30% and avoid blackouts?